SACRAMENTO, CA—Asserting that citizens have the right to know when the Golden Globe winner resides nearby, a newly enacted California statute dubbed “Richard’s Law” requires film actor Richard Gere to personally introduce himself to each member of the community upon moving to a new neighborhood. “Within five days of establishing residence, Mr. Gere himself shall visit all homes within a mile radius and clearly inform the occupants who he is and what major films he has starred in,” reads the legislation, which stipulates that Gere must leave a signed headshot at any residence in which the occupant does not answer the door in order to apprise them of his presence. “Mr. 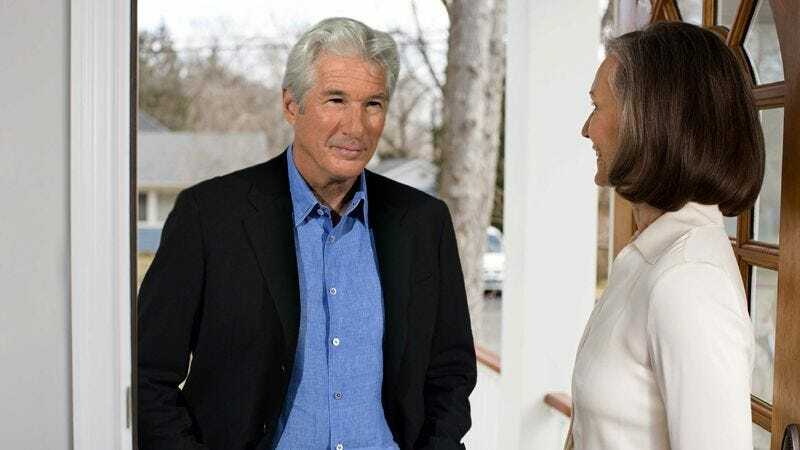 Gere must then give a detailed rundown of his career, listing the various awards he has received and providing a synopsis of any project on which he has appeared upon request by the resident. Furthermore, Mr. Gere’s full filmography shall also be printed on flyers and posted throughout the neighborhood.” A subsection of the law also reportedly funds the creation of an online database and map indicating where each and every cast member from An Officer And A Gentleman lives.